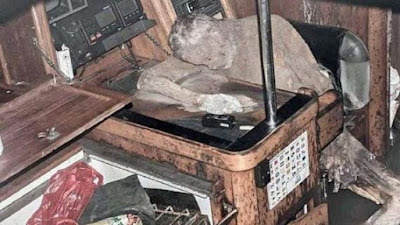 The Mummified Body ( decayed body ) of a German Adventurer was discovered inside an abandoned yacht, according to a report by Fox News. The body of 59-year-old Manfred Fritz Bajorat was found last Thursday slumped near the boat’s radio telephone after two fishermen off the coast of the Philippines alerted authorities to a drifting vessel. No one has seen the adventurer since 2009. Police say the cause of death was unclear, but there were no signs of foul play. The German embassy in the Philippine capital, Manila, has been notified and is now working on locating Bajorat’s family. He is believed to have a daughter who works as the captain of a freight vessel and a wife he separated from in 2008 who later died from cancer.